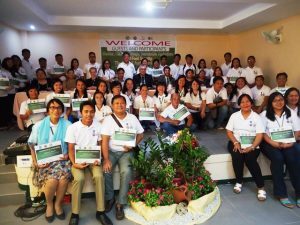 Filipino professionals are among the hundreds of scholars participating in international courses in Israel. An initiative of Israel in the international development cooperation area established by the Ministry of Foreign Affairs, MASHAV is an agency that offers international workshops and courses. Founded in 1958, it was created to offer the fruits of Israel’s experience to other nations and to share with the rest of the developing world the know-how and technologies which provided the basis for Israel’s own rapid development. 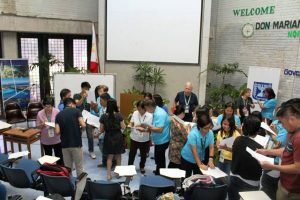 Israeli experts share their know-how to Filipinos. What started as a modest program focused on basic human capacity building at a time when Israel itself was still very much a developing country, has already blossomed into an extensive program of cooperation throughout the developing world with the aim of ensuring social, economic and environmental sustainable development. The courses offered are for professionals ages 30 -50 years old and with at least 3 years relevant experience on the subject course they are applying for. To learn more about MASHAV courses and how to apply, check out the Embassy of Israel in the Philippines.